As I write this column, Bank of India has lowered its benchmark lending rate by 0.25 per cent to 9.95 per cent; a development that has those watching the banking sector heave a minor sigh of relief. The move comes after months of standoff between the Reserve Bank of India and the countrya��s banks. Since January, Raghuram Rajana��s RBI has cut the repo rate, the rate at which banks borrow from the Central Bank, by 25 basis points on two occasions. And yet, those reductions in borrowing costs havena��t been transmitted to the consumer, with banks complaining about existing high costs, a line that Rajan probably filed in that expedient, commodious cabinet he keeps, labeled Tall Tales and Other Misc Items. Since the last repo rate cut in March, wea��ve had to watch the ensuing game of brinkmanship between lenders and the central bank. There was talk of the RBI even lowering its cash reserve ratio, a minimum of total deposits that mandatorily sit with the state bank, from the existing four per cent. 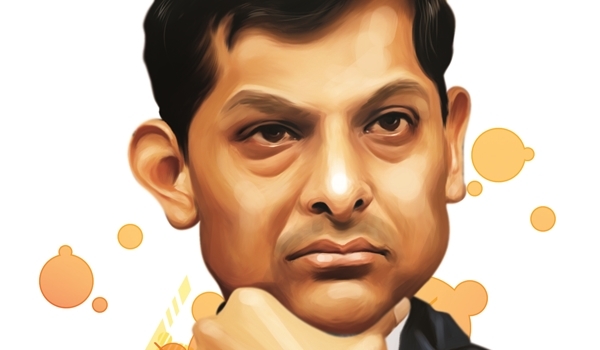 And while the move to infuse greater liquidity in the system may have been stonewalled initially, Rajan and co. stuck to their guns, and it seems to be slowly paying off. For the RBI, there has not been a better time to loosen the monetary policy strings. Inflation has slowed, even falling to a three-month low in Aprila��s reports. With Bank of Indiaa��s lending rate cut, those with auto and housing loans would really benefit. However, if overall bank lending eases, start-ups, particularly, would stand to gain from the increased accessibility to capital. At the outset, one can see why close to 80 per cent of our banks, whoa��ve yet to cut rates, have developed this reputation for being parsimonious. Their appetite for risk has abated after theya��ve been saddled with bad loans and the fallout from non-starter big projects. However, ita��s the medium and small industries that suffer the most consequently, as loans to that sector grew at just 0.3 per cent last year, according to a recent financial news report on data from the RBI. It isna��t as if the banking industry doesna��t already have its finger on the start-up pulse. Banks like HDFC (also among the first to cut lending rates this year) have set up a specific division to deal with the e-commerce requirements of the growing start-up ecosystem. However, to free up capital and lower borrowing costs is the best route for lenders who want to really reap the rewards of the current start-up boom.